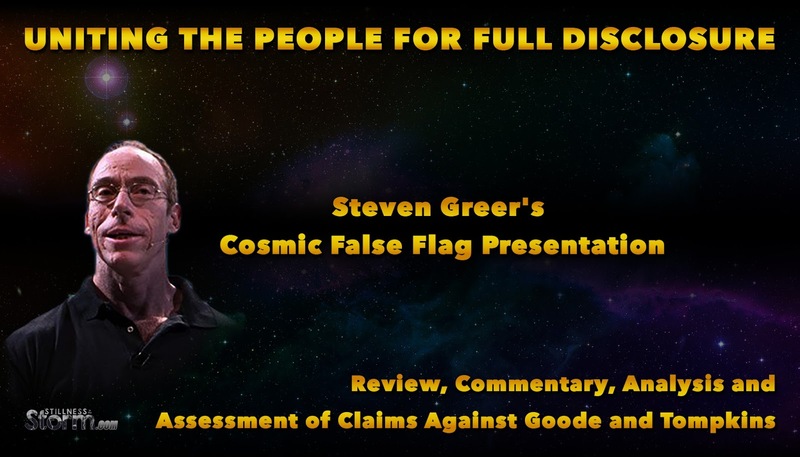 In a controversial presentation produced by the well-respected ufologist and researcher Dr. Steven Greer, allegations were levied against two persons, Corey Goode and William Tompkins, claiming they could be disinformation agents or fraudsters. Dr. Greer also mentioned the former front man of the popular musical band Blink 182, Tom Delong, and the news media sites Gaia and Collective Evolution. He said each could be sharing inaccurate or intentionally fabricated information about the nature of secret government projects, extraterrestrials, and hidden technology that could be used by certain nefarious forces to foment an interstellar war. The following article will detail the core aspects of Dr. Greer's presentation and philosophy, to include video excerpts of the presentation, and assess and analyze the plausibility of such accusations against the collective store of data available in the public record. It will also evaluate whether such a cosmic false flag is possible if secret space programs exist, and if a shadow government uses hidden technology for nefarious ends, drawing from resources for support whenever possible. Whether one is a newcomer or well versed in these topics, the data contained herein is replete and can be used to educate oneself further.